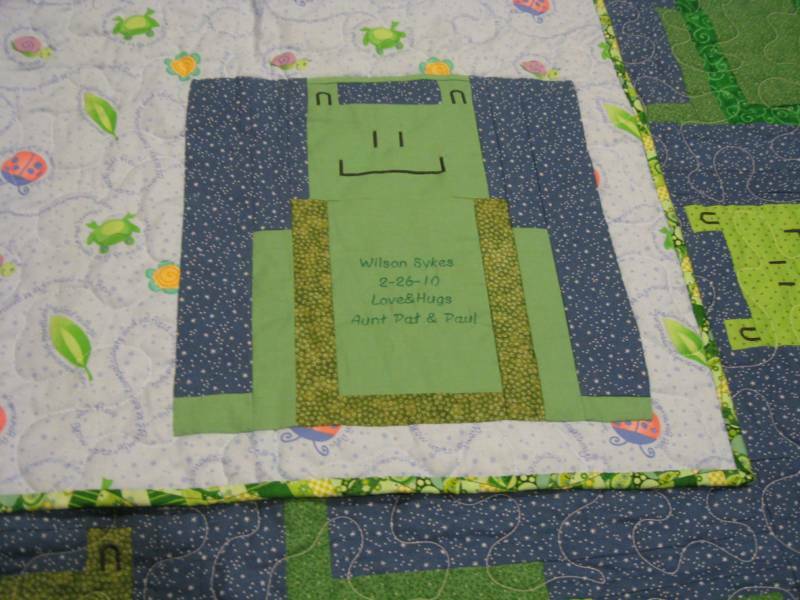 Create an heirloom quilt by using custom embroidery stitches which appear to be hand stitched! 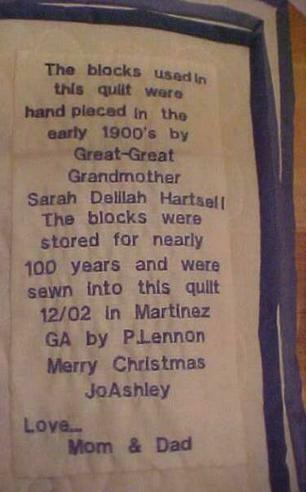 A label commemorating an anniversary quilt. 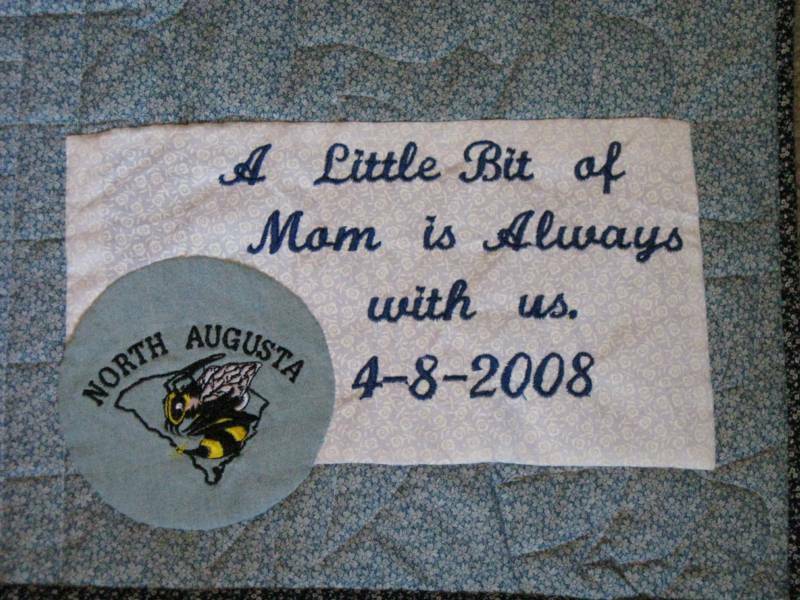 Here embroidery was used to add cute pictures and words to an adorable baby quilt. 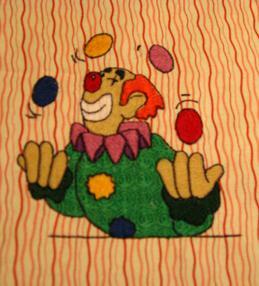 "J is for Juggler". 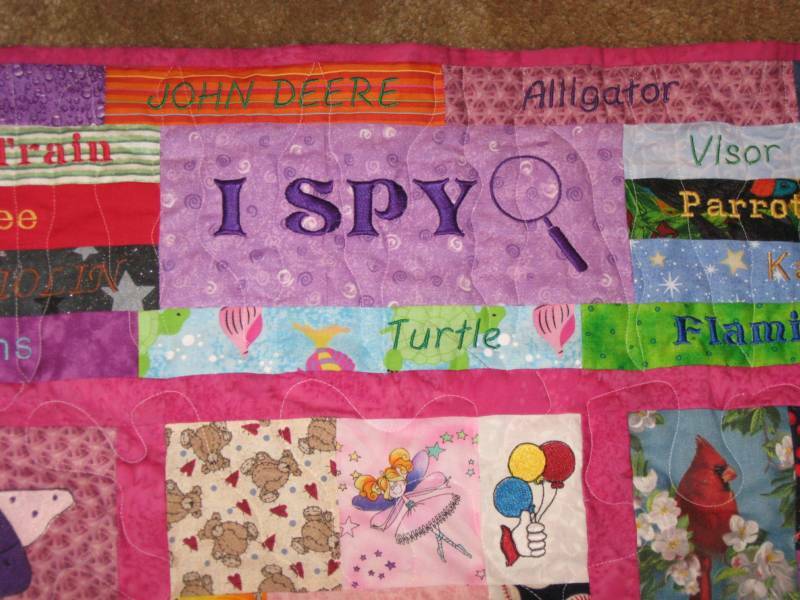 This embroidered picture was part of the "I Spy" quilt. Cute Cute! 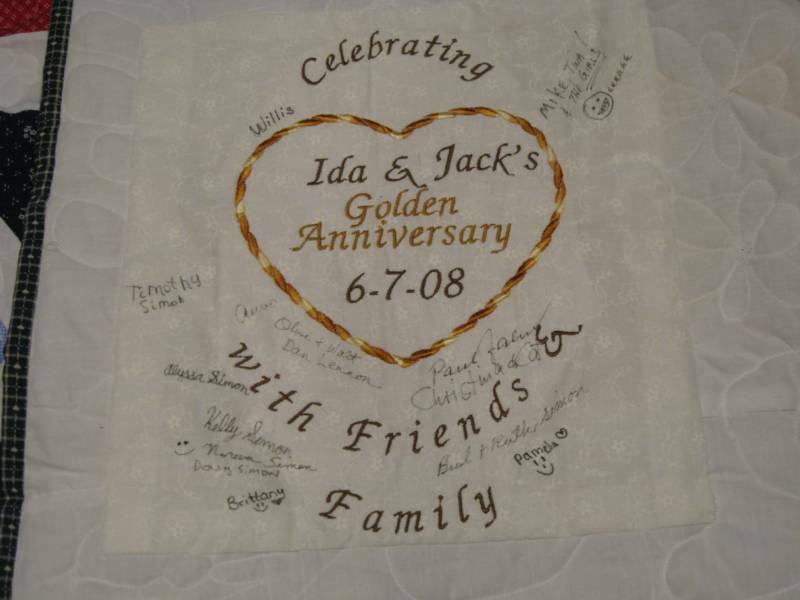 Labels can "tell the story" behind the quilt, and embroidery tells those stories in a preservable, professional looking and stylish way! 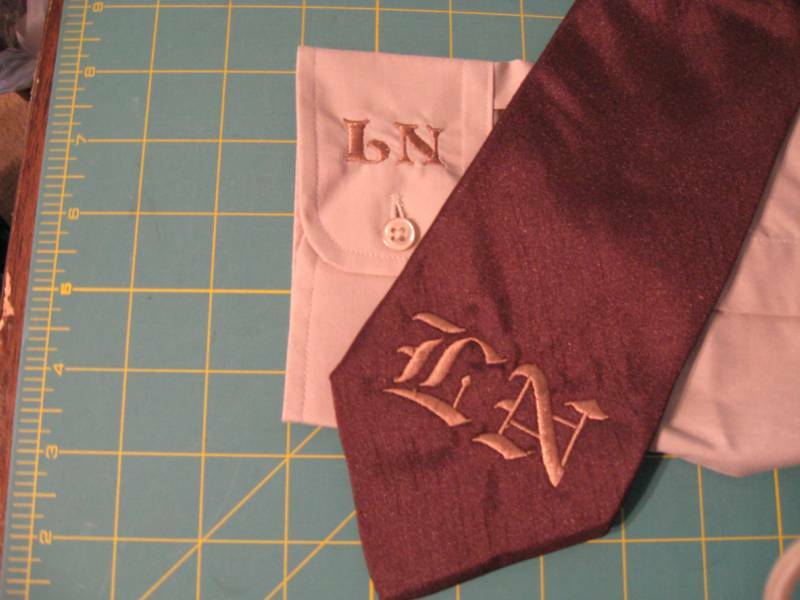 Adding a monogram to a tie makes it extra special. 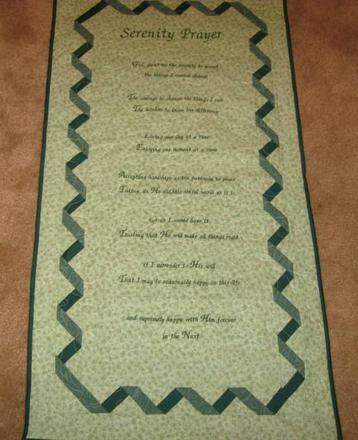 Embroidery can be used on a wall hanging to tell a prayer, song or special saying, too! 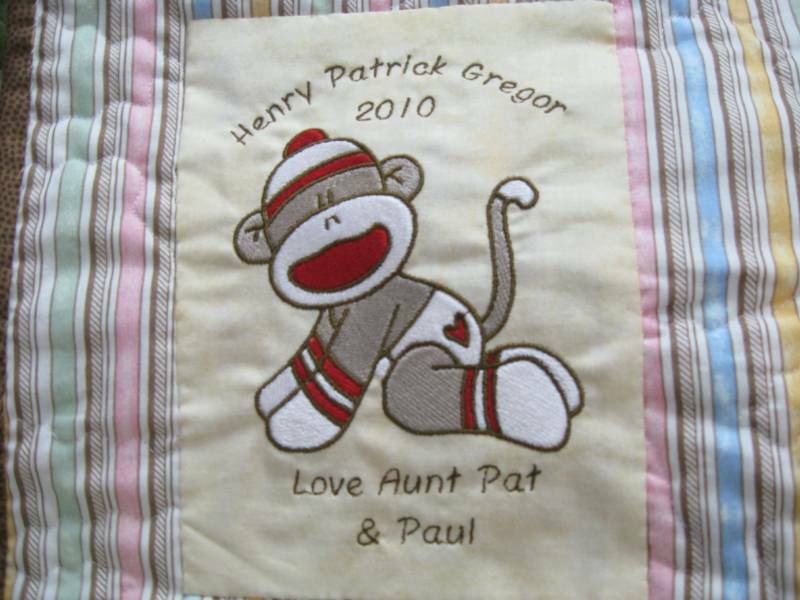 Baby quilts turn out so cute when you add a personalized label to them! 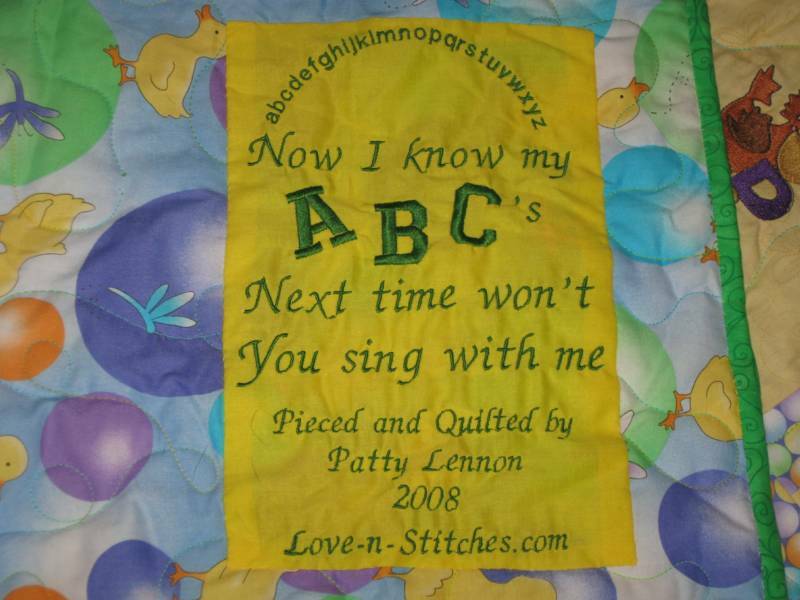 Add as much information to your quilt label as you desire. Keep it simple with just a name or add additional details like time of birth and weight! Embroidery is a process of adding thread to cloth - often in words or designs. 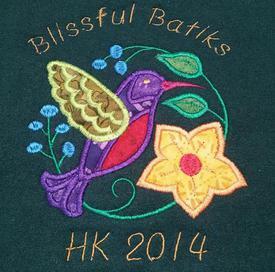 This can be done by hand or with a digital embroidery machine. While hand worked embroidery is classic and beautiful, machine embroidery offers a wide selection of fonts and patterns and is much more durable and long lasting. 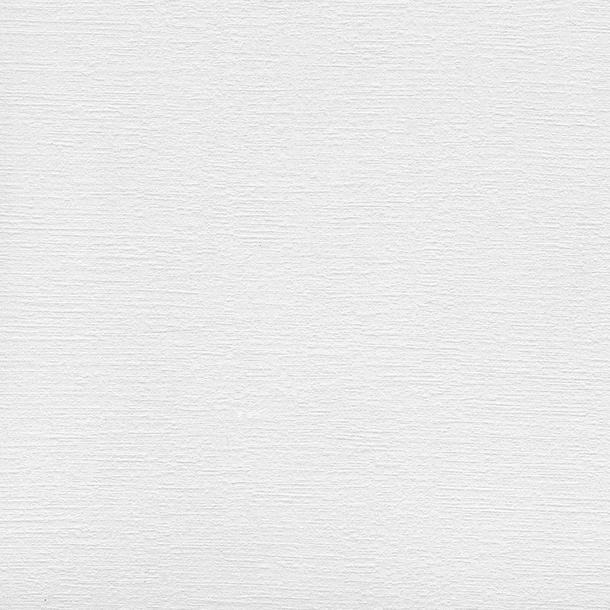 There are thousands and thousands of designs to choose from. See below for some inspiration of how I can use embroidery to personalize your next project for you! 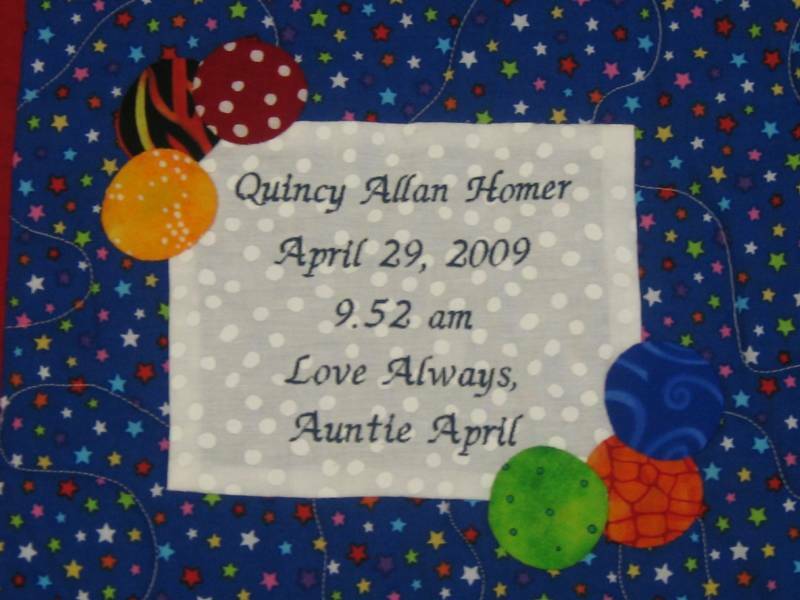 A label on a memory quilt can also be embroidered with words and designs to say something special about the fabrics used in the quilt or the quilt itself. Embroidery can be used for more than just quilts! 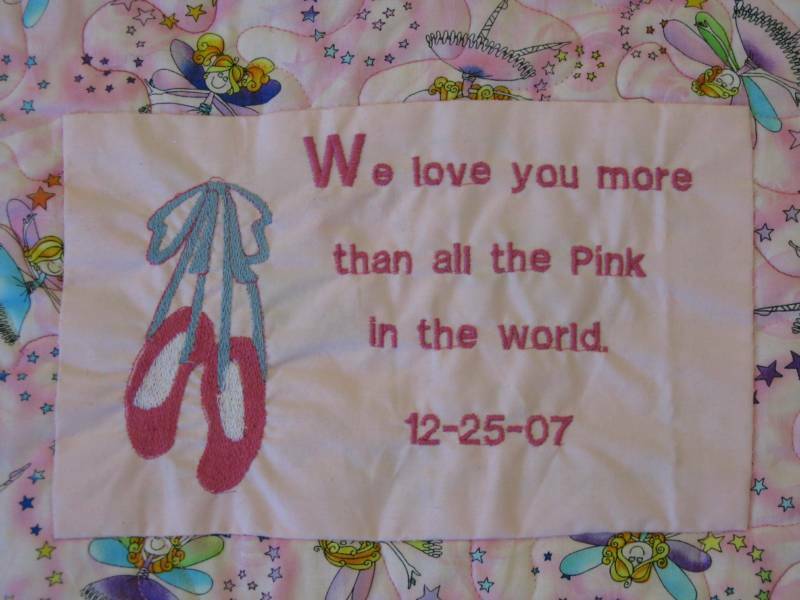 These are just a few examples of where embroidery was used to make special gifts! 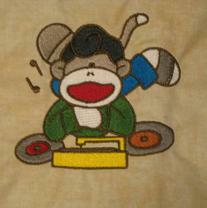 Embroidery can be done on sweatshirts to create a custom design.